Background: Alyce bought Dom at the start of 2014 and quickly discovered his talent for dressage and has taken him through BD Prelim and Novice levels before most recently moving up to Medium. She has qualified for the PetPlan Championships the last 2 consecutive years. Goals: To reduce stress at competitions so she could improve her scores at Novice level and mentally prepare for stepping up to Medium level. How Helen Helped: Helen gave Alyce techniques to help manage her stress level, improve her focus during her warm-up and test, and techniques to slow time down during her test so she could complete each movement more accurately. For several years Charlotte Drakeley was based in the Middle East and had the honor of representing the United Arab Emirates as part of the UAE Dressage Team, at the equivalent Pony, Junior and Young Rider level. During this time she rode on behalf of the Crown Prince of the UAE, His Highness Sheikh Mohammed bin Zayed Al Nahyan and also represented His Highness Sheikh Sultan bin Zayed Al Nahyan training and competing his champion home bred Arabian stallions. Upon her return to the UK, she was selected for the Hartpury Dressage Academy Team and trained for the 3 years with Carl Hester. Charlotte is now based at Drakeley stables in Cambridge and trains with Henry Boswell, riding and competing up to Inter1 level. In addition to competing, She is producing and developing dressage horses and sports ponies using a scientific approach to training, which is based on the systematic programming research that she conducted during her Sports Science degree. Charlottes goal is to compete internationally at Grand Prix level and to produce tomorrows horse and Pony Champions. Alex is a 19 year old dressage rider from Bakewell, Derbyshire and has trained with Sonia Baines since she was eight years old. 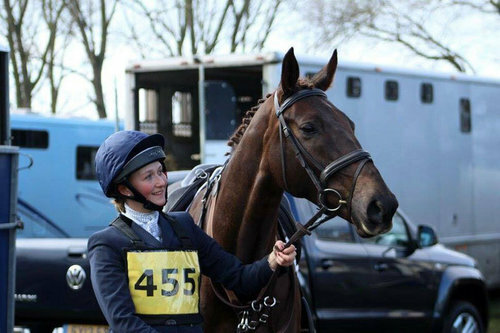 In 2011 when Alex was just eleven years old, she was part of the British Pony squad with Dublin and again in 2012. 2013 was the third year on the squad for Alex with Clare Williams’ pony Der Kleine Lord who she was given the ride on. She was a member of the 2014 Silver Medal winning team at the European Championships in Millstreet Ireland, and was the individual Bronze Medalist. In 2015, Alex was the third ranked in the FEI Youth Dressage World Rankings which was an astonishing achievement. When Lordy (Der Klein Lord) moved onto new owners Alex turned her attention to her horse Uvender V (Uvi), who is a 17 year old gelding. She returned onto Team GBR two years later with Uvi to represent her country at the 2016 Junior European Championships in Oliva Nova, Spain. The following year she was short listed for the 2017 Junior European Championships. 2018 has seen a great year for Alex who continues to compete Uvender V to much success, they are now hoping to campaign at PSG nationally and internationally. It has also seen Alex start her Mathematics degree at the University of Sheffield, and add a young horse Kay to her team. Alex hopes to spend this year training Kay and hopefully start his competition career with some of the young horse classes. Alex is very lucky to have a great team around her, especially as her family, who before her rise to the top, had no interest in horses whatsoever. She became an ambassador of Rezone Coaching in November 2018. Background: Rebecca has been eventing for several years. She bought her mare, Liberty Bell III as an unbroken 5 year old. Rebecca backed and produced Libby herself taking her through the levels from BE80 to BE100 before working with Helen. Goals: To help overcome anxiety in the showjumping phase to improve her performance and results. How Helen helped: Helen gave Rebecca techniques to help her reduce anxiety, improve her confidence and focus throughout the showjumping. She helped Rebecca improve her mental preparation by setting clear goals and creating visualisation routines. Helen also developed a rider success formula for Rebecca to use at ODEs and at CCI 1* events to help her remain confident and focused. Results: Following her first 2 sports psychology sessions, Rebecca stepped up from BE100 to Novice level for the first time and earned her first BE point towards a CCI 1* qualification. In the next 6 Novice runs, Rebecca achieved a top 10 finish at 4 events by applying the techniques Helen gave her to help her control her anxiety and focus. Within 2 months of stepping up to Novice level, Rebecca had earned sufficient BE points to qualify for the CCI 1* at Osberton and she finished the season achieving her goal for the 2015 season. This was a big achievement because Rebecca was attempting Novice and CCI 1* qualification for the first time. It was also the first time that her horse had been asked to perform at that level. During the 2016 season, Rebecca completed her second CC1* event at Houghton Hall International Horse Trials achieving new personal best scores in the dressage and showjumping phases. She jumped double clear to achieve an impressive placing of 33rd out of 76.